Former Supreme Court judge Katju said "Bhupen Hazarika may have worked for peace and amity, but at best deserved a Padma Vibhushan"
Former Supreme Court judge and ex-chairman of the Press Council of India, Markandey Katju on Monday apologised to the people of the Northeast for making a comment on legendary artiste Bhupen Hazarika being conferred Bharat Ratna. Markandey Katju, who had earlier served as the Chief Justice of Delhi High Court, Madras High Court and as acting Chief Justice of Allahabad High Court, in a Facebook post had saidBhupen Hazarika did not deserve Bharat Ratna. Following his comment on the bard from Assam, Katju received widespread criticisms from various corners. Music maestro Bhupen Hazarika, social activist and BJP’s senior-most leader Nanji Deshmukh have been awarded Bharat Ratna posthumously along with Pranab Mukherjee, India’s 13th President and Congress leader. 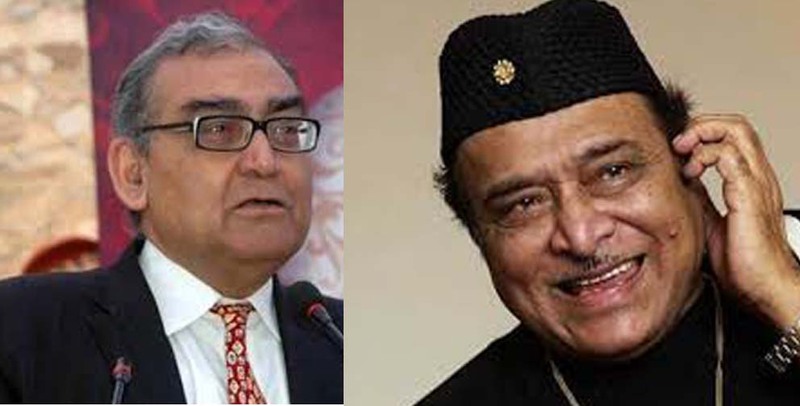 In his Facebook post on Sunday, Katju had said all the three Bharat Ratna awards conferred this year were “undeserving”, however, he has apologised only for his comment on Bhupen Hazarika. On his earlier Facebook post, Katju stated: “Pranab Mukherji was a shameless Nehru-Gandhi chamcha. Nanaji Deshmukh belonged to the Sangh Parivar which is communal and therefore divides the Indian people. Whoever divides the people is an enemy of the people, as Bheeshma Pitamah said in the Shantiparva of Mahabharat.